Cody: My favorite detail was my grooms cake and decorations. I had a nature theme for my table and my tent and backpack was there from my travels I took across the United States. The cake was a tree stump that was very detailed with a heart with mine and Jana’s initials on the cake. The table had many pictures from my travels and my mom made bags with smores ingredients for the guests to take. 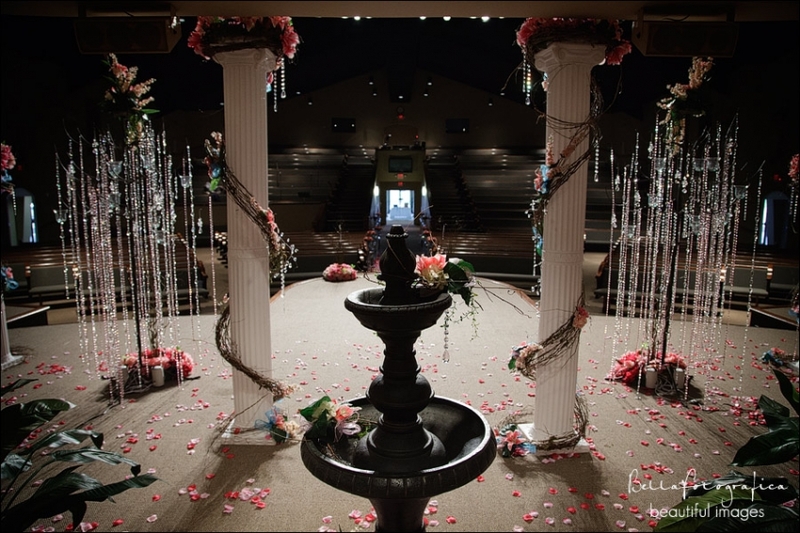 Jana: My favorite detail was the vision that I had for my wedding and reception came true. We decided not hire a wedding planner and plan the whole event ourselves. I didn’t know it then, but it actually made the whole wedding experience more special. The whole day was perfect and it was more beautiful than I had imagined. 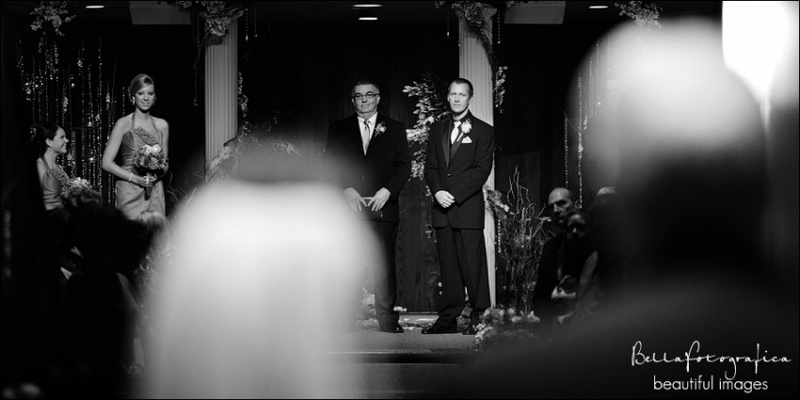 Cody and my advice to future brides and grooms is that they should enjoy the experience and take in every moment. Don’t worry about the minor details because in the end, everything will work itself out and turn out wonderful. The funniest moment from our wedding was our flower girls. Before we got the video back from our wedding, we heard that one flower girl fell off her step trying to see what we were doing on the stage. The other flower girl was waving at everyone she knew in the audience and then became bored, sat on her step, and played with her basket. We got a kick out of our flower girls once we saw the video. Jana: I would change the all the stress I felt with planning the wedding. I worried about little things that in the end never really mattered. I wish I would have stressed a little less and enjoyed the whole planning experience a little more. We went to Costa Rica on our honeymoon. We stayed in an all inclusive resort which we would highly recommend to any honeymooners. Well…once Cody and I were on stage listening to the preacher, I was so nervous that I was shaking. To calm me down, Cody began a thumb wrestling match which completely changed the mood. Cody helped me relax which made me calm for the rest of the ceremony. Where was this its beautiful? I would love to know where this wedding was held? I was beautiful. My daughter is getting married next year and we are looking for a place. Hey girl,if you dont mind that they are not at the alter the San Luie Hotel in Galveston is the most beautiful place inside and out if it is going to be aspring or summer wedding !!!!!!!! Congraulations,love yall !